In almost every house you will find a dining room or formal seating area somewhere in the home. However, sometimes dining rooms get forgotten about for a less formal eating area or because they simply don’t get enough use. So what needs to be done to make your dining room stand out? Well, a great base to start with is to purchase a dining room table and set of chairs that works best for your family. You’ll want to look for a dining set that meets all the needs of your family (size, younger children, no children etc.) and one that will fit into the space well. Once you have the base of your dining room in place, the next step is to add personal and decor touches to make the room really pop and to help it become more inviting. Fresh (or faux) flowers may seem like a simple way to decorate, but with the right touch they can really stand out. The great thing about using flowers to decorate your dining room is you can constantly change the colors and styles whenever you feel the notion. In the photo below we can see how well the white hydrangeas and roses complement the elegance of the room and enhance the formal chandeliers that hang above the dining space. By using a similar colored flower it also make the darker chairs pop against the neutral color scheme. Candles can change the look of a room in an instant. Whether you prefer a cluster of luminous candles in the middle of your table or if you like the space and modern look of singular candles, the options are endless. Not only do candles provide a secondary, soft lighting that will cover the whole room, it also creates a centerpiece that your eye is immediately drawn to. Using mirrors as a backdrop to your dining room, you will be able to extend the look, giving your room a more expansive look then it actually is. Try different styles by playing around with candle heights, colors and holders to create your own custom look. If your dining room or home carries more of a country look, using rustic inspired accent pieces as your centerpiece will bring the entire look together. Use different vintage pieces, bottles, jars, baskets etc. to create an eclectic look that will really stand out. Most items can be found at your local swaps or garage sales and you can buy several pieces to change the look as you please. Try find a few pieces that match the accent colors in your room to give the whole design a cohesive look. 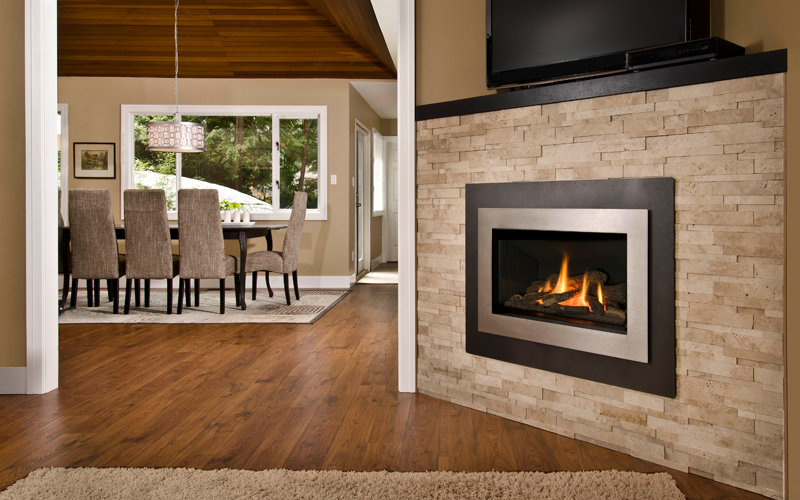 Last but certainly not least, if you are looking for a way to make your dining room really stand out, consider adding a Valor Fireplace to the room. Not only will a Valor give your guests something to talk about at your next party, you’ll also be able to enjoy the warmth while you enjoy your favorite meal. For more information or inspiration see our previous blog post: In The Kitchen With Valor.